OneDrive for Business is different from OneDrive, which is intended for personal storage separate from your workplace. OneDrive for Business is also different from your Office 365 team site, which is intended for storing team or project-related documents. If you have a small business, it's ideal to set up your file storage to use OneDrive for Business and Office 365 team sites together. Save your work files to OneDrive for Business so they're always with you. Securely store all your files and share them with coworkers. Each user gets 1 TB of storage. Find the files you need in seconds with simple search. 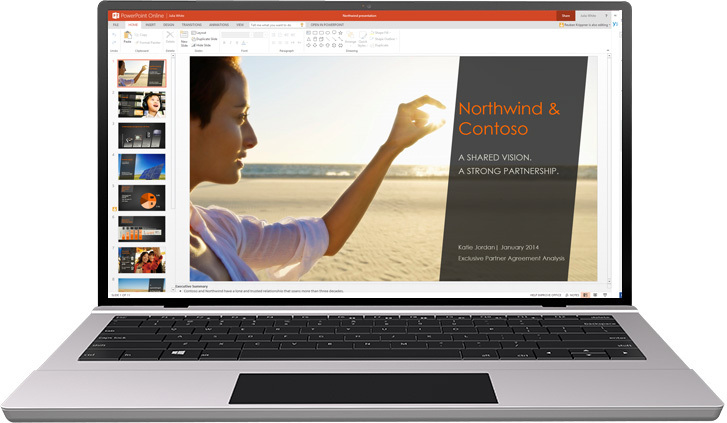 Or use Office Delve to discover new relevant content. Get work done together with anyone at any time. 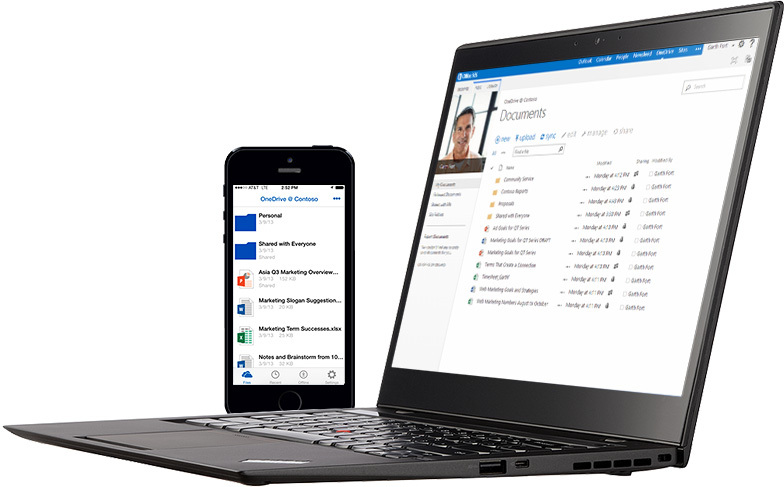 Securely share your files with colleagues, business partners, or customers. You control who can see and edit each file. Keep everyone working on the most recent version of a document, and view or restore previous versions if you need to. Set up an integrated approval process for documents that are ready to review. Move your work files to the cloud without compromising security and compliance. As an industry leader in cloud security, we care deeply about your files. We ensure that your files are encrypted in transit and at rest using the most advanced encryption methods available. We also ensure that our service meets rigorous compliance standards. We are built on the guiding principles of security, compliance, and privacy. We are verified to meet global compliance standards like ISO 27001, Data Processing Agreements, EU Model Clauses, HIPAA, FISMA, FERPA, SSAE 16 and others.